I shot out of the gate like a thoroughbred at the Derby the day I started graduate school. Fresh out of college and thrilled to be studying my favorite literary texts, I began my studies with a fervor that overshadowed my lack of knowledge. Apparently you need more than enthusiasm to excel in a graduate degree. My classes were discussion based; yet whenever I entered a discussion, I tended to take one or two lines from a work of literature and run off on tangents. I thought I knew a poem’s meaning by interpreting one or two stanzas that “moved me.” I blathered about Blake. I wowed about Wordsworth. I quoted Keats. I lorded it over Lord Byron. I charged through the tracks of a poem without any knowledge of an author’s intention. No, I was not shy to share my thoughts on each work of literature, and my professor was, in turn, not shy to reproof my reflections. She told me that I made hasty generalizations and drew conclusions with very little contextual evidence. I oversimplified some of the most complex texts. Her opinions on my opinions were not received well at first, as you can imagine. Yet my professor brought knowledge to my enthusiasm. She brought context to my commotion. My passion, like a horse running hard out of the gates, needed to be—well—reigned in. Oftentimes as group leaders, we bring our ideas to the text and make broad interpretations about the Bible that may or may not be accurate. We have zeal, but we lack knowledge. 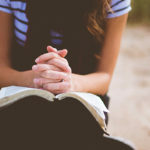 SmallGroup.com is a website that gives its members thousands of Bible studies, all customizable to fit a group’s unique context. And if they don’t have the study you’re passionate about, they will write it for you. 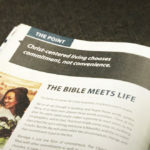 MyWSB.com is a comprehensive online library with various study Bibles, commentaries, and devotionals that can better prepare you and your small group with the right interpretations of the Bible. By becoming a better student of God’s Word, you become a better teacher of God’s Word. The Gospel Project is a unique Bible study series for groups and leaders alike. 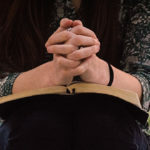 The goal of The Gospel Project is for small groups to gain a comprehensive overview of the Bible, both the Old and New Testaments, through the lens of the Gospel. Bible Studies for Life has a sole aim of growing disciples through an intentional study of God’s Word. 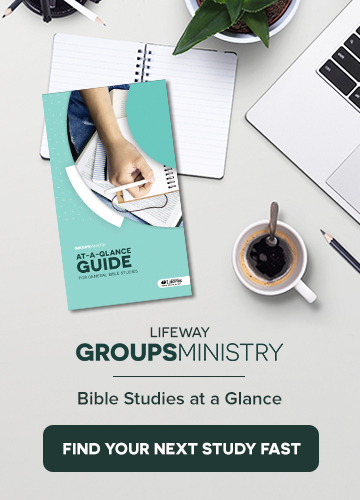 These studies equip disciples of Jesus Christ with practical tools to glorify God in everyday life. Explore the Bible is a study of God’s Word in its context. It gives its readers a holistic view of the Holy Scriptures, emphasizing that the Bible can never mean what it never meant. With any of these tools, you and your small group will be able to understand the Bible in its entirety, rather than in passionate piecemeal. May you never let go of the passion for God that led you into your small group, but may you also enter into each Bible study with a fervent zeal that is guarded by reason. Soon enough, you’ll realize it was never a race to begin with.